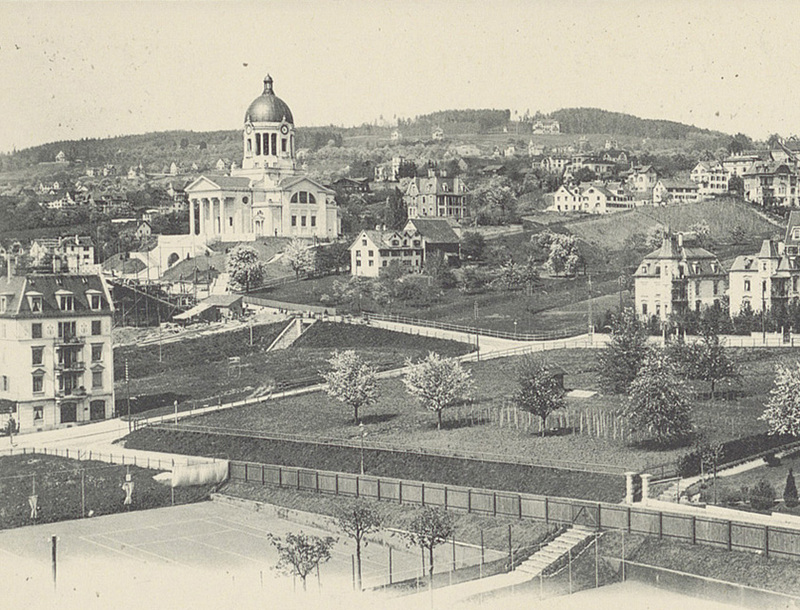 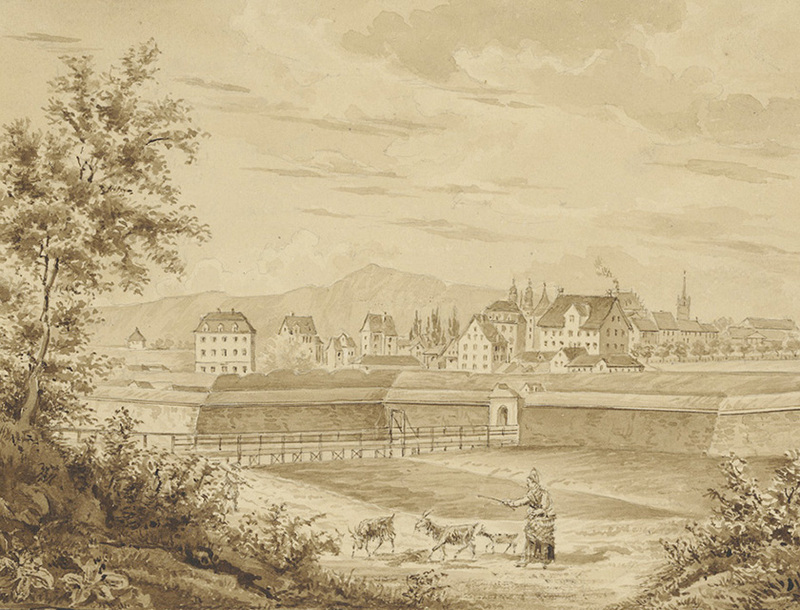 Until the mid-19th century, Hottingen was a rural suburb of Zurich dotted with farms and the occasional elegant country residence. 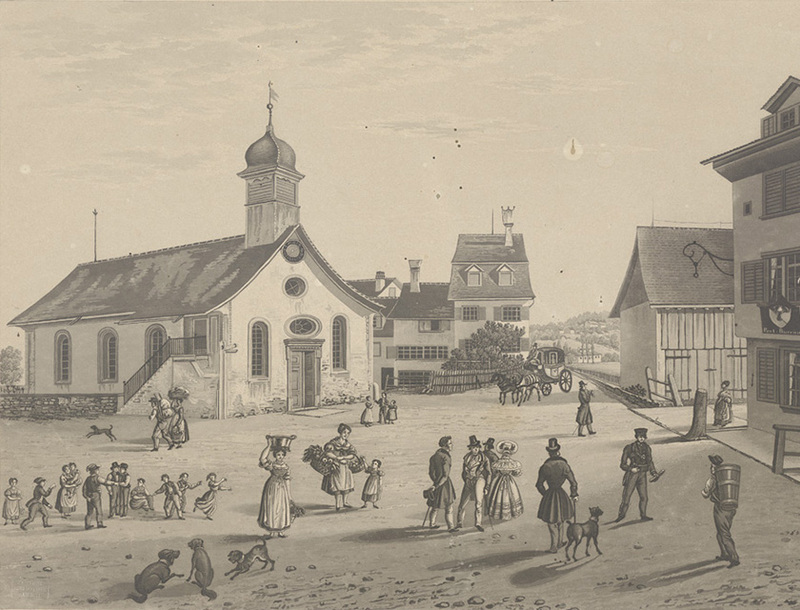 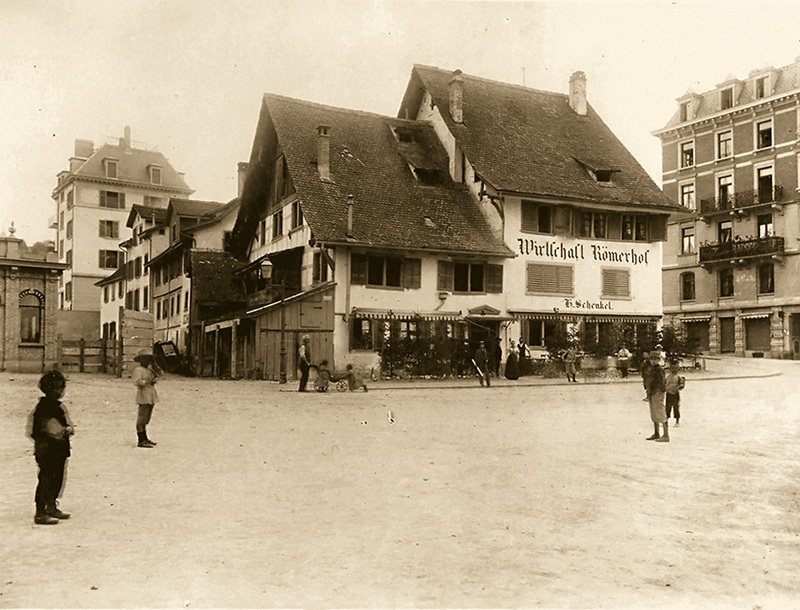 The Römer family and their farmstead later gave their name to the district’s main square. 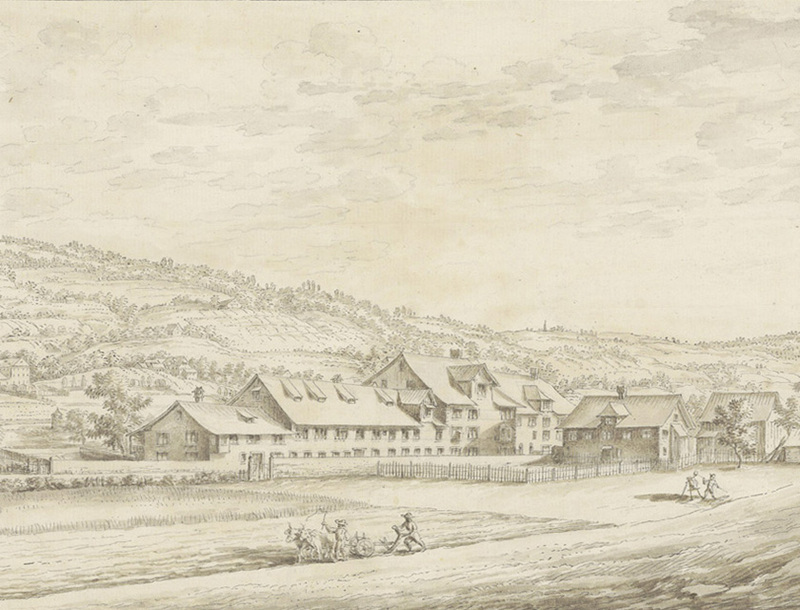 Hottingen eventually succumbed to the increasing urbanisation of the area and the accompanying population growth, and the traditional, largely agricultural population was joined by a new urban class. 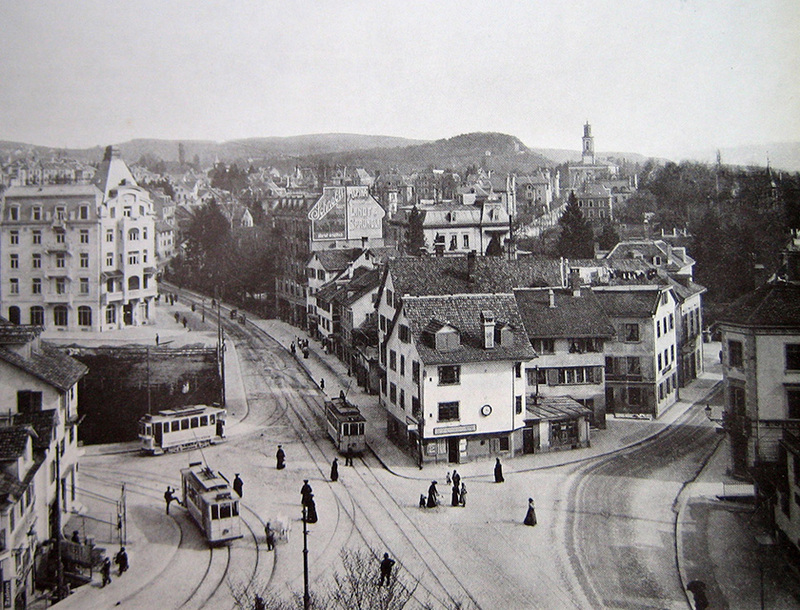 For them, Hottingen was no longer the centre of their lives; it was now just the place where they lived. 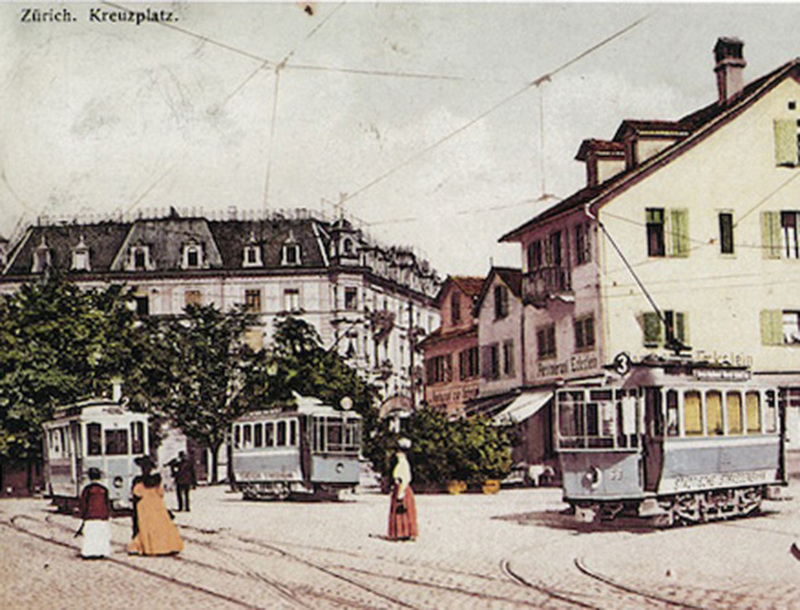 Hottingen was incorporated into Greater Zurich in 1893 – and so this small farmers’ village became a chic, bustling city district. 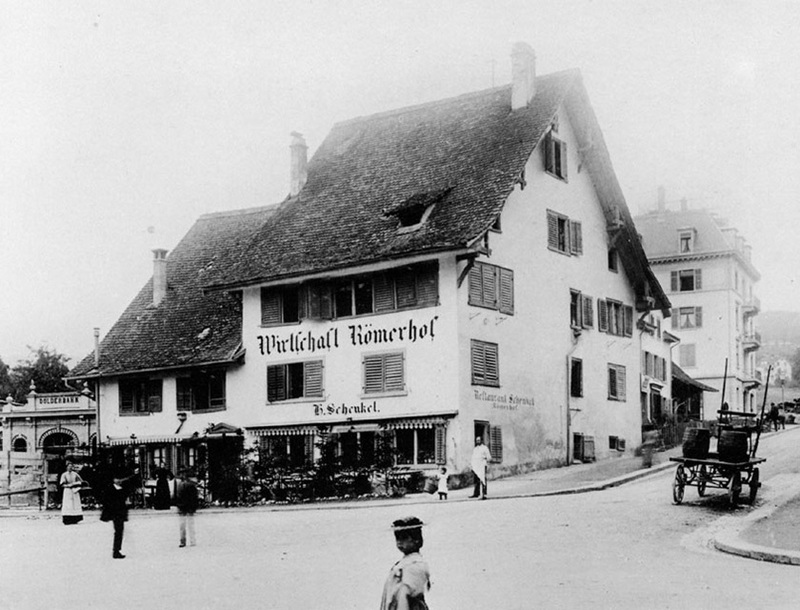 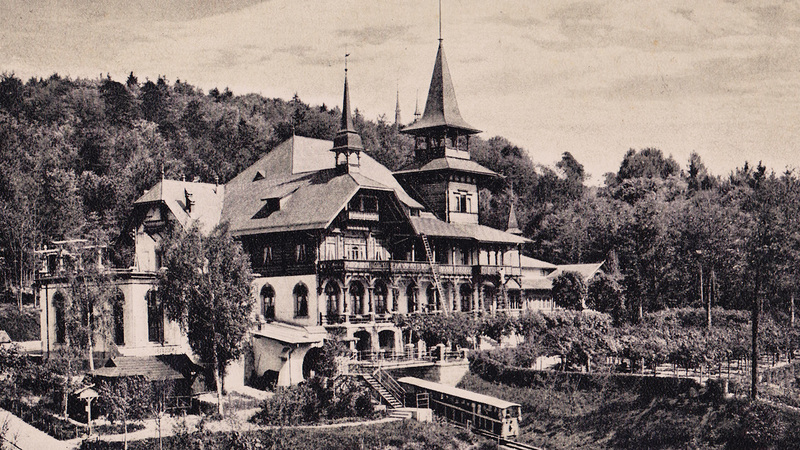 The legendary Wirtschaft Römerhof guesthouse was renamed the Römerhof in 1899. 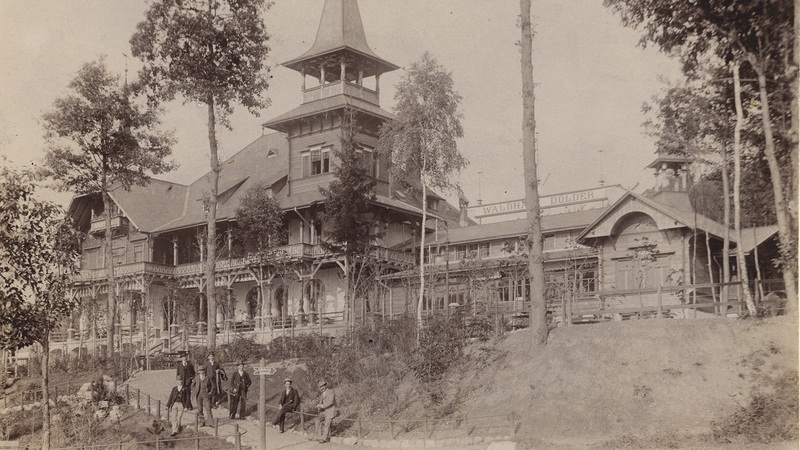 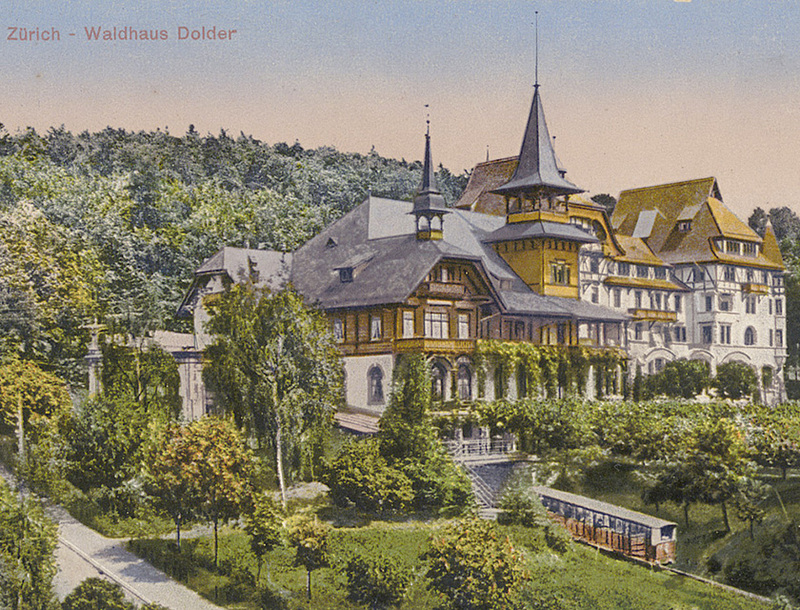 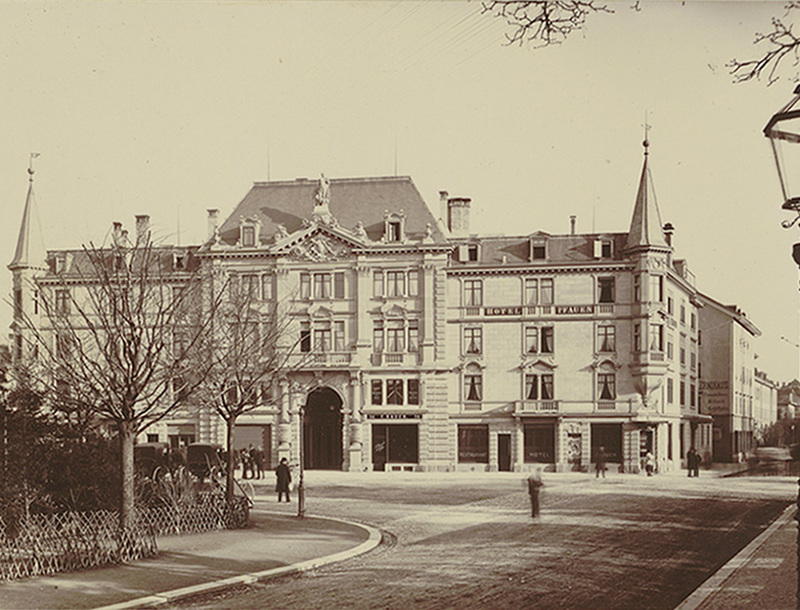 In 1899, the Römerhof was turned into a residential building and hotel. 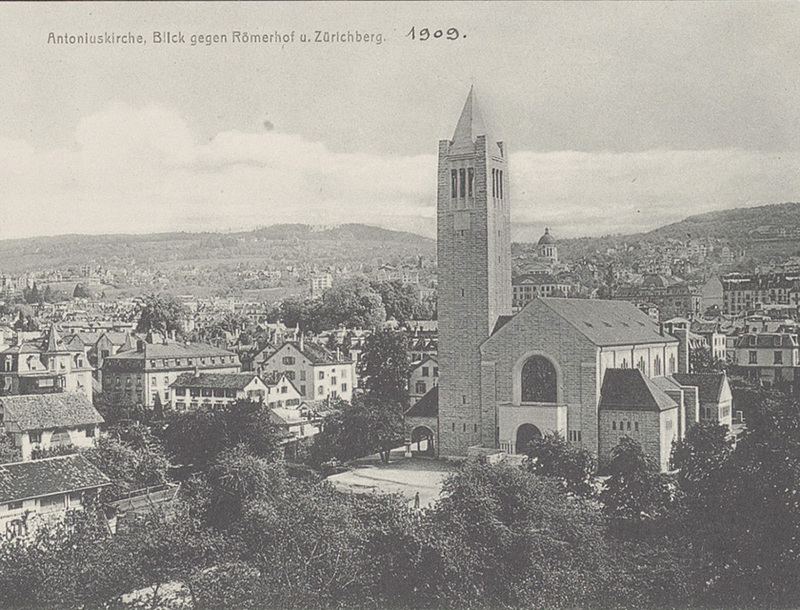 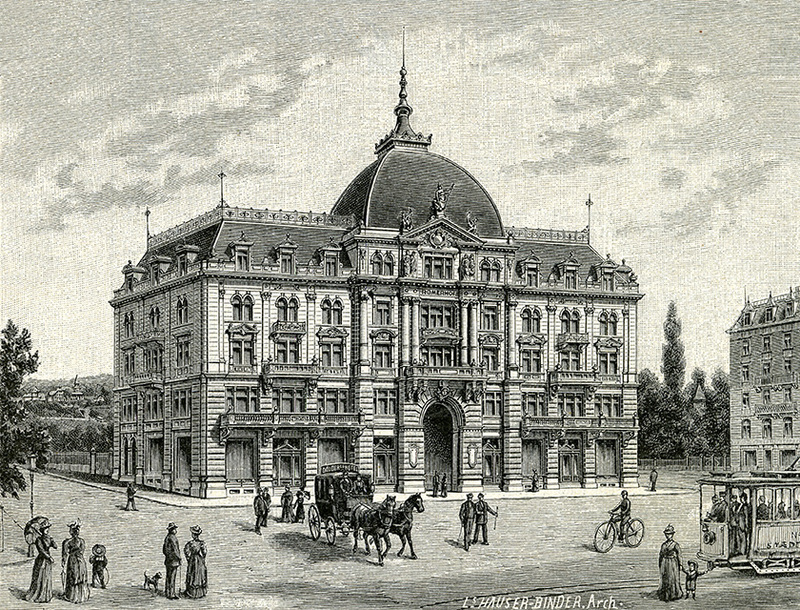 The Zurich Playhouse was built as a popular theatre in 1892 (image from around 1900). 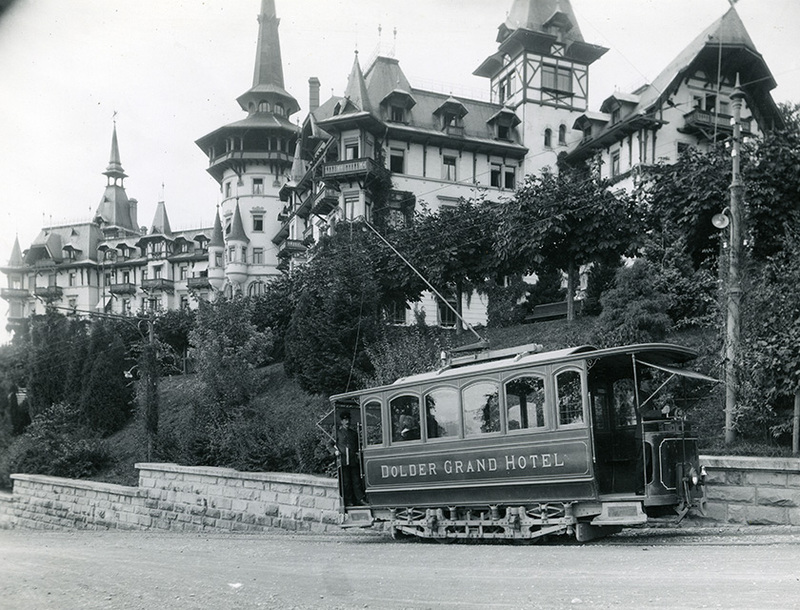 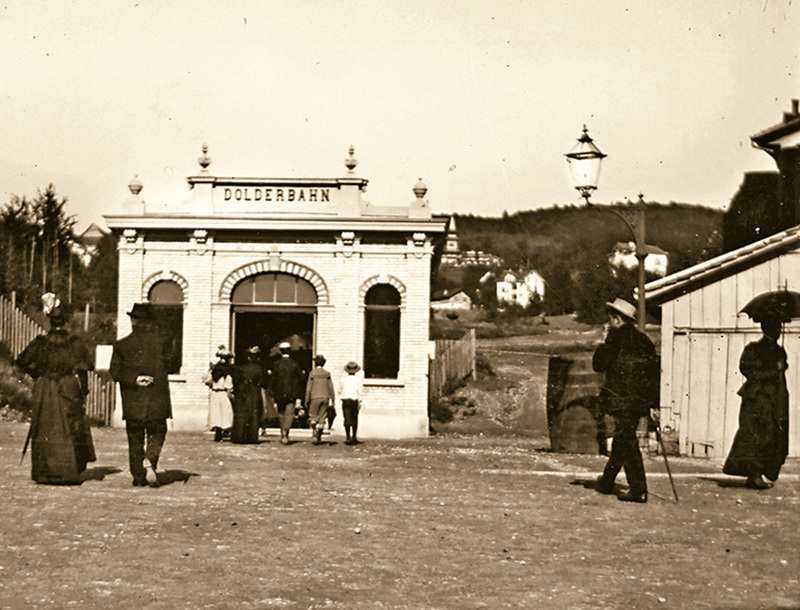 The Dolder tram operated from 1899 to 1930 (image: 1911). 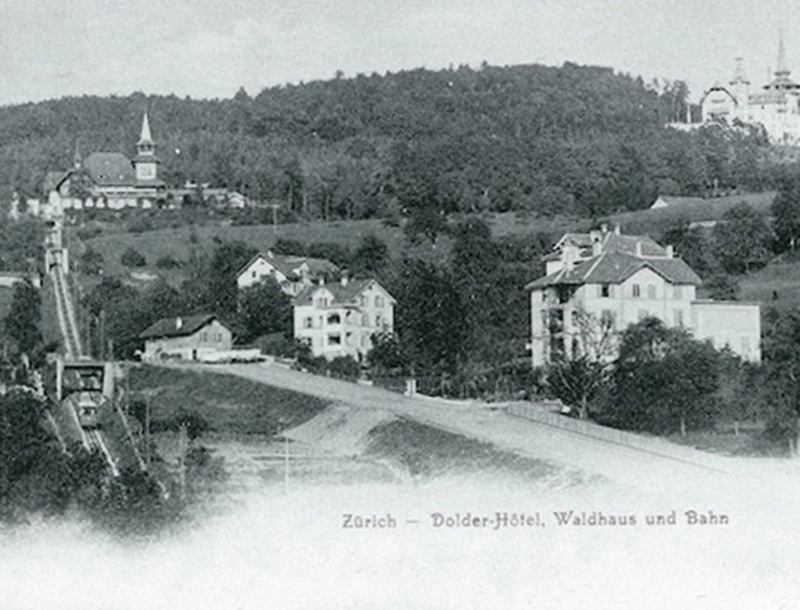 Originally one of Zurich’s rural suburbs, Hottingen transformed in the 19th century into a city district with enduring appeal – and has close ties to the Dolder Waldhaus.